← What the Dog Taught Me? Do people really look like their Dogs? Look what came in the mail today!!! It’s official! I am super excited about my new cards and accessories. I even had labels made soooo I can put them on all of my food gifts this year. 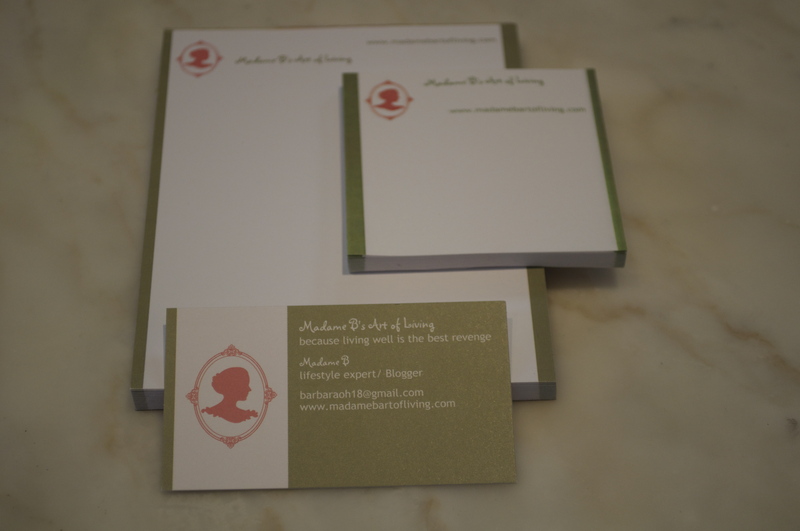 I had my stationary printed at Vistaprint , a reasonably priced online printing service. Easy and Fun! I can’t wait to hand these out. Business Cards, Post it Notes, Note Pads…,Oh My!